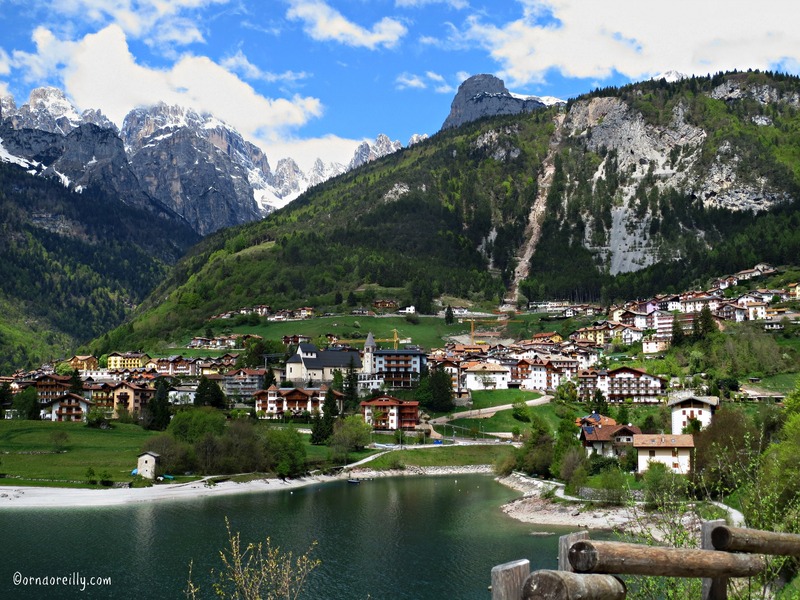 As a place to visit, the Italian Dolomites have everything to recommend them. Located in the Trentino-Alto Adige area of Northern Italy, which shares its border with Austria and Switzerland, it is also known as South Tyrol, where the fabulous food, wine, scenery and culture are quite different to the rest of Italy. 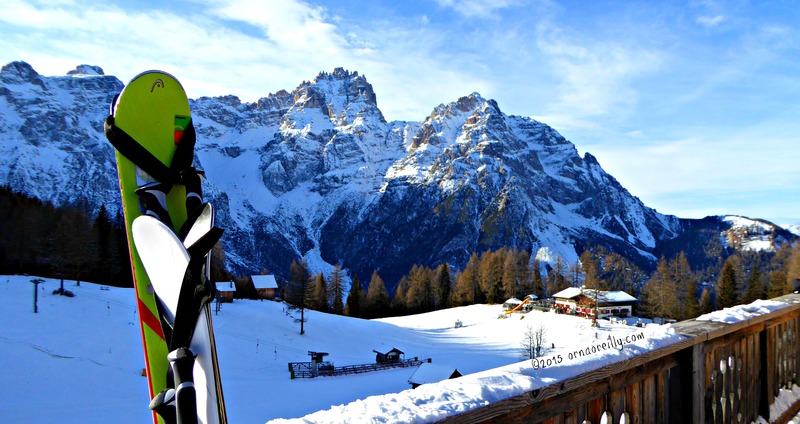 Highly mountainous, in the winter season it is a popular skiing area, especially with the Italians who flock there in their droves for settimana bianca (white week). In summer they visit for mountain climbing, hiking, cycling and even just to see the wonderful flowers. Having visited in both early summer and mid-winter over the past year, I have been able to observe the contrasts in scenery and weather. But what remains constant is the fabulous food. Speck, dairy produce, vegetables, fruit and great wines are par for the course and local dishes such as canedorli and apple strudel are on most menus. When I visited in summer last year, the gentle sunshine and flower-filled meadows were a sight to behold. These gave way to snow in winter when I arrived with a large group of friends for settimana bianca which illustrated another type of beauty altogether. Meeting at rifugi high in the mountains for lunch is a fantastic experience: culinary and visual bliss. A foodie paradise indeed! 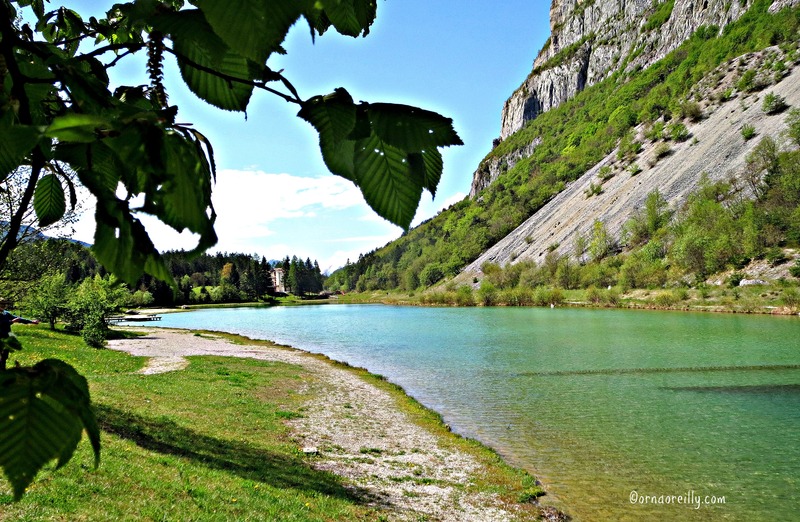 Make sure to join us live on Twitter today and throughout the weekend at #ItalianFWT to chat about the Trentino-Alto Adige region and your experiences. We can’t wait to hear from you. Check back at #ItalianFWT throughout the month as well for additional blogs on food, wine and travel of Italy. Next month on April 4th we feature Sicily so stay tuned. Ciao ciao! Amazing! I would love to visit during summer, I can’t handle winter! It looks like a great location for fantastic hikes! Thanks for the great pics and tips! Thank you. I think it’s beautiful all year round, but it’s a very different scenario visiting there in summer compared to during the winter snows. 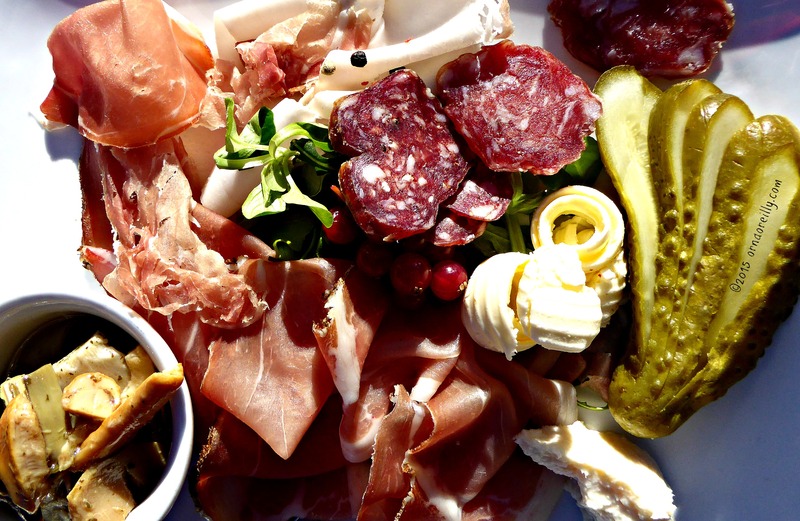 I look forward to seeking out some of these lovely places Orna, great post and fabulous foodie photos – my mouth is watering!! Thanks Liz. Nothing quite like eating speck with horseradish sauce in the alpine air! We love speck, never tried it with horseradish sauce. Will do! Beautiful photos! Peaceful and serene. Glad you like the photos Jennifer. It’s a gorgeous area, possibly the most beautiful I have ever visited. Orna, I love your posts, especially your photos. Everyplace you go, I want to follow! Thanks Jeff! Love horseradish sauce with speck…they were served together routinely and I developed quite a taste. Great post Orna! I adore your photography! It’s got me ready to dust off my passport and head to the Dolomites! Thank you Martin. You would never regret dusting off that passport and heading to the Dolomites; they’re indescribably beautiful. Such a different part of Italy! How cool is that 🙂 take me along!!!! I’d love to visit the locations of some of your pictures. Can I contact you for information on where these are & how to get there? We come to Italy 2x a year & visited the Dolomites only once on a tour from Venice 2 yrs ago. It was a dream!